Dose is 500mgs Long Jack - Tongkat Ali (Eurycoma longifolia) formulation liquid extract per 1ml dropper - supplement size is 2oz (60ml) per bottle. Dose is 500mgs formulation of Long Jack - Tongkat Ali (Eurycoma longifolia), Pine Pollen and Cuscuta Seed per 500mgs capsule - supplement size is 120 count. Daily Usage: 1-9 capsules per day - best dose is 3 capsules at a time up to 3 times a day. When added to either deer antler velvet or powervelvet it provides a more powerful workout that results in more muscle definition,The ingredient tongkat ali is primary to enhanced bodybuilding.just started taking it,and it adds that extra muscle building ingredient I was looking for. Very strong tasting tongkat ali in this liquid. I notice that I am more cut and harder. I've always noticed that the other tongkat ali supps would stop working after a while, but this one keeps on working without needing to cycle off, and it works well with their other liquids. Not the best tasting stuff, but from what I read tongkat is supposed to be really bitter so that's okay. I noticed an easier time pumping erections up and more sensitity. I bought this for my husband. It works, but the bitter taste of the liquid was tough on him. Hi Jan, Tongkat Ali can be a bit gnarly. But that's how the good stuff is. You guys could try the Deer Antler Velvet, Red Ginseng, and/or something like the Male Silk Moth which you could also take. These are much more palatable and will assist intimacy too. 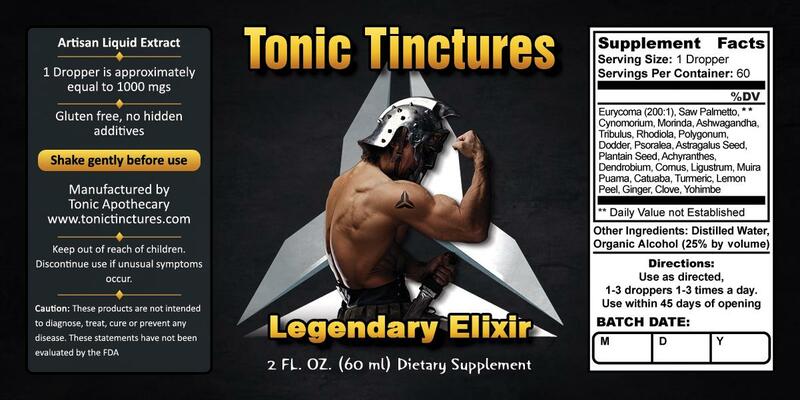 Long time fan of tonic tinctures, I bought this to take with the deer antler velvet and got way more pumped in the gym and the bed, thanks guys!